June 6, 2014 – The law firm of Lehtinen Schultz Riedi Catalano de la Fuente, PLLC was inducted as the newest Trustee Member of the Greater Miami Chamber of Commerce’s at its June 2014 Trustee Luncheon at Jungle Island, Miami. The Greater Miami Chamber of Commerce is the voice of business in South Florida, representing more than 400,000 employees of member companies. It is an association of businesses and professions organized to create progress essential to attaining the social and economic needs of the community. “The Chamber’s membership really is the cream of the crop of South Florida business people and we are honored to be affiliated with the Chamber at this level,” said LSRCF shareholder Claudio Riedi. 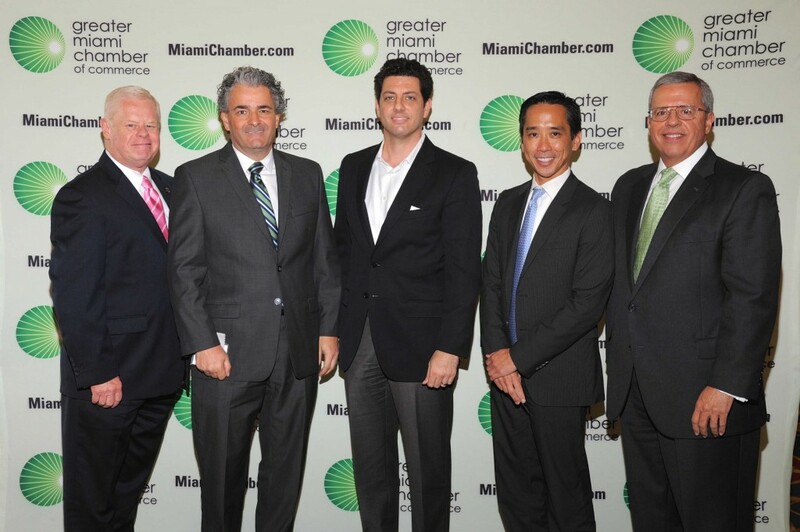 From left to right: Chamber President Barry E. Johnson, Claudio Riedi, John Catalano, Bob de la Fuente, and Chamber Chairman Alberto Dosal.